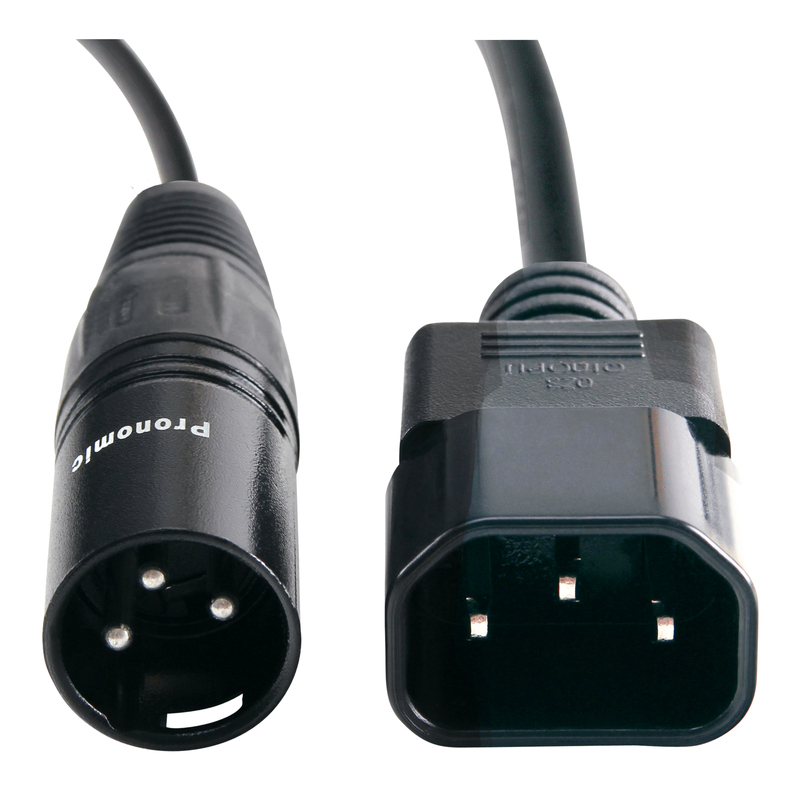 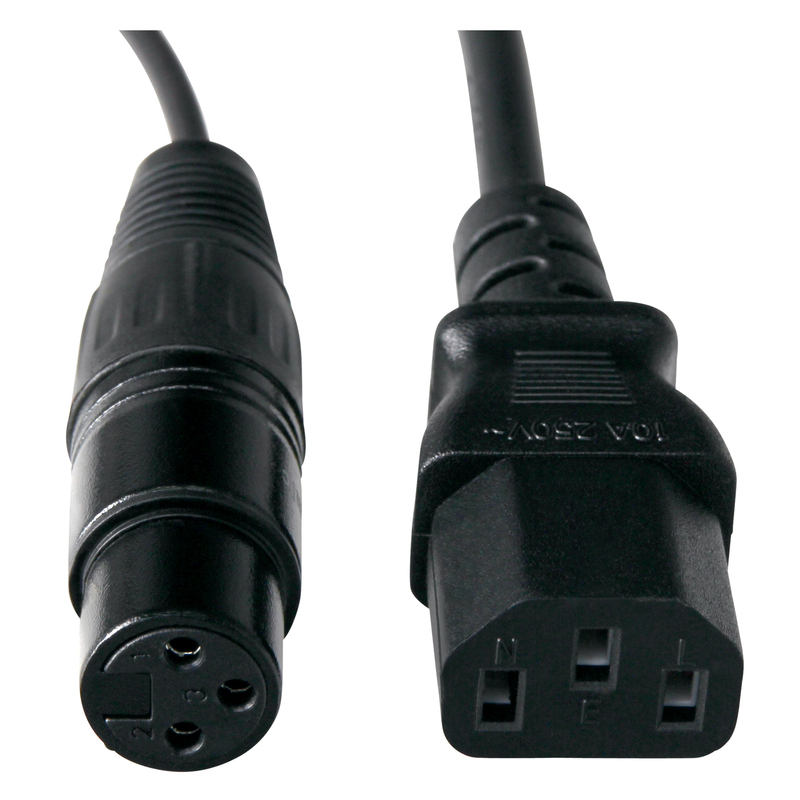 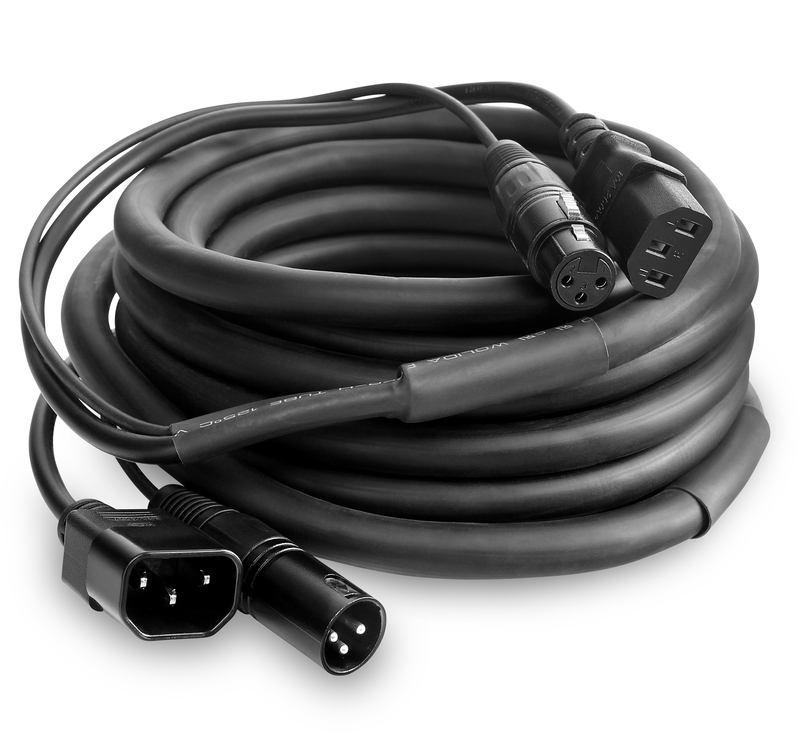 This 13-mm thick hybrid cable includes a power supply cable with an IEC socket and plug as well as a DMX cable with XLR connectors. 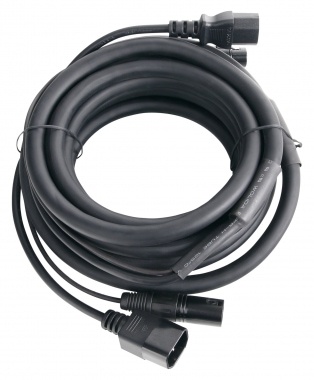 The two cables are split 38 cm on each side. 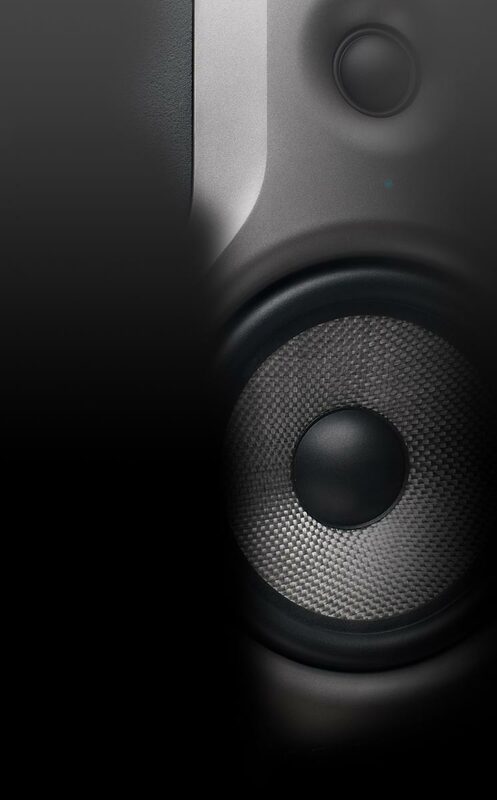 This makes looping through a lighting system easy and comfortable.